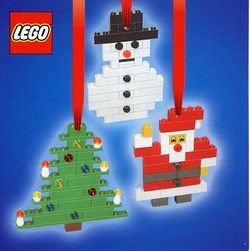 4759 Christmas Decorations is a Seasonal set released in 2004. The set contains three separate Christmas decorations packaged together. Facts about "4759 Christmas Decorations"
This page was last edited on 1 May 2016, at 16:03.